Confessions of a linen convert. I had a particular idea in mind of what a luxurious bed should feel like: Smooth to the touch and almost slippery, with perfectly tucked corners and crisp edges. Typically, in posh hotel rooms, I’ve found percale sheets, which offer a soft finish, not unlike a high-end dress shirt. This was what I considered to be the height of bedroom comfort until I tried something totally different. As with most things, there was an exception: a set of decades-old linen sheets that Cohen’s family bought in Italy, which provided the inspiration for Snowe’s take on the fabric. 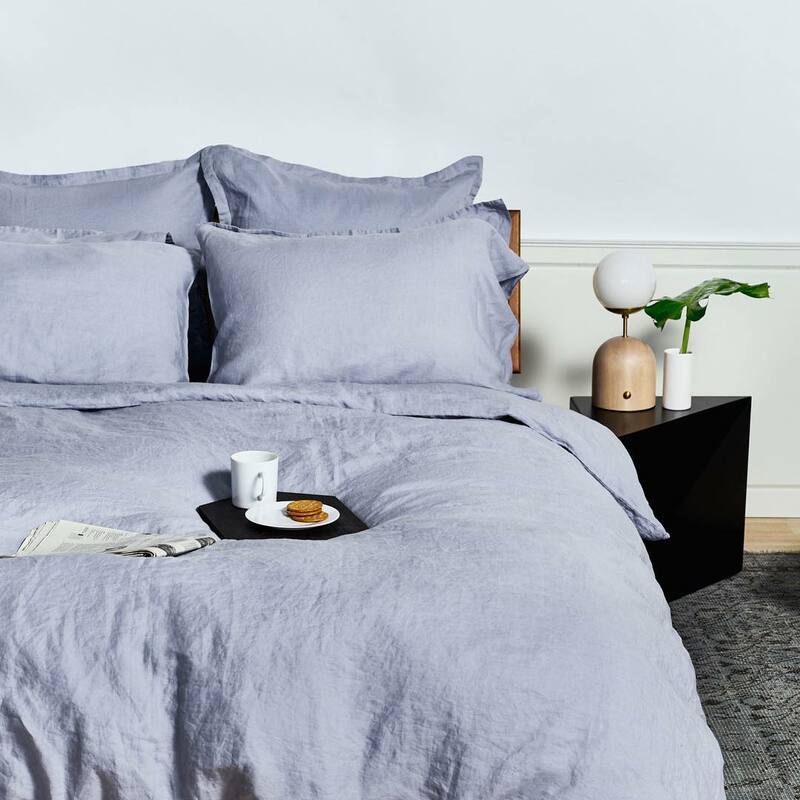 The brand’s resulting sheets eschew chemical treatments that manufacturers typically rely on to render the fabric soft, using Belgian-grown flax (which is pliant because of the country’s humidity) that is spun into linen in Italy instead. The end product is all natural and perfectly soft. At home, I’ve primarily slept on cotton percale sheets, and did, admittedly, find myself annoyed at how my previous sheets wrinkled easily—looking messy, more often than not—and how the thin fabric was stained by my black pajamas. I approached Snowe’s linen sheets with an open mind and I wasn’t disappointed. Fittingly, these Italian-spun sheets are as indulgent as an Elena Ferrante novel, which is to say they are expertly spun, perfectly satisfying from the beginning of the night through to the morning, and give me something to look forward to as bedtime approaches. Linen wrinkles, but in a way that feels so much more deliberate and comfortable than cotton does. The texture is a departure from what I’m used to, but it’s also perfectly welcomed. When I slip into bed, I feel like I’m transported to a villa in southern Italy or Provencial France, simply because they feel so perfectly natural, offering a feeling of airy envelopment rather than sleek crispness. I feel inspired to rid my wardrobe of all synthetic fabrics and live a life floating around in linen dresses in a palette of gentle neutrals. I feel inspired to learn more romance languages and how to bake a loaf of sourdough bread. That, of course, is just a dream. But when I’m resting under sheets that keep me just warm enough—not too hot, not too cold—dreams come easily.